U.S. actor John Malkovich has accrued almost cult-like status in Hollywood for his ability to play the villain. From the lecherous Vicomte de Valmont in "Dangerous Liaisons" (1988), to the psychotic, would-be assassin in "In the Line of Fire" (1993) and the plane hijacker in "Con Air" (1997), some of Malkovich's biggest roles have been as the 'bad guy'. Perhaps his most famous role to date is as himself in "Being John Malkovich": a surreal film in which a puppeteer finds a passage into his mind. 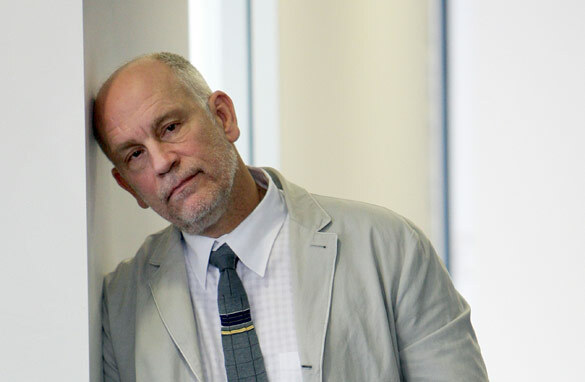 Malkovich is also a successful writer, producer and director – for film and theatre. This summer, he will be taking time out of Hollywood to tour with the play "The Infernal Comedy", in which he appears dead serial killer. He'll also pick up a lifetime achievement award at the Munich International Film Festival, promote his latest film, "Transformers: Dark of the Moon",and make his debut at the Edinburgh Festival, directing a play celebrating the work of the British playwright Harold Pinter. What would you like to ask John Malkovich? Post your questions below. Hi John. My wife is in love with you and does not miss any of your films. I hate you ;o))) . How can i get a copy of ur comedy coming soon? Hi john u are a wonderful man. Your cameo as God in George Clooney's coffee adverts is brilliant! Have you ever thought of playing 'the man upstairs' in a feature length comedy? John, since youre a sick zionist, can you tell me why you think palestinians dont have the right to live on their own land have their land stolen by zionists like yourself? During the past week, one of the tabloid newspapers in the Czech Republic had a quote from you in large type on its cover. "Malkovich says, "I'll murder the Czechs who robbed me". Good day, Mr. Malkovich. I am a huge fan of your work and for me, the best role you have played is the lead in 'The Talented Mr. Ripley' and 'Of Mice and Men' with Gary Sinise. You were your funniest in 'Burn After Reading'. What are your thoughts on the the film industry's obsession with 3D movies? And who is your favourite actor? If great actors (which I believe you are) in profound performances no longer project the character that they are playing but become the character, then how do you process or integrate the villains or the psychologically aberrant characters you have played? Thank you so much for all of your wonderful contributions! Porquoi est-ce que vous avez un relatioin avec la france? Alors, vous parlez bien francais. If you were an animal, WHAT ANIMAL ARE YOU? If you were a fruit/food, WHAT FRUIT ARE YOU? What would you rather be, A TREE or a BIRD? Why? If you were in front of a MIRROR, What would you tell yourself? Love you, JOHN, You are wickedly brilliant! Chicago. Steppenwolf. Ever go back? Hi John, my question is – when are you going to visit the Philippines and make a movie there? You are a very talented actor and I enjoy your range of films you have contributed to, my favorite being RED! I have also had the opportunity to enjoy something else you have a hand in: Bica do Sapato in Lisbon, Portugal. All the best! Would you be willing to help out a local Portuguese charity with a Tombola item (possibly a gift certificate to Bica do Sapato or even better dinner with you at Bica do Sapato). This would be an amazing item for a Silent Auction, one that would definitely generate alot of interest and revenue for the charity. John, What are your fondest memories of EIU? Jon Greger Class of 1983. Hi John, love your work. Are there any movies or plays (which you did not star in) that you would have liked to have played a role in. If so, what character and why. Thanks. Hello great John Malkovich.What can I do to meet and see you face to face? I just watched a documentary on how American Express, Microsoft and Blue Shield/ blue cross has screwed Americans out of their jobs and replaced them with workers from India (cheap labor). Redmond Washington has become litle India while Americans have had to sell their homes, lost health care and many of them are in their 50's and the job prospect are dismal. Would you care to comment on this? The documentary was done by Dan Rather....very scary indeed! –	How will protect the citizens, especially people in traffic, against bombs, collapse buildings and Robot-fights in Transformers: Dark of the Moon? President Barack Obama or Protect(R)obots? –	Who will protect the citizens, especially people in traffic, against bombs, collapse buildings and Robot-fights in Transformers: Dark of the Moon? Hi John, I am such a Huge Fan of yours!!!!! So what are the odds that you are going to do a sequel to Rounders? Also of all the people, actors and the like that go on Inside the Actor's Studio, you are the one i'm dying to see be on that show! I really love your movies and I think you're a Brilliant Actor! I am very curious to know your thought processes on films and would love to hear your answers to the questionairre at the end, especially your favorite curse word! Just came back from London where I went specifically to watch Infernal Comedy in Barbican Center and the performance was absolutely amazing..My question is: how much of your acting is rehearsal and how much is improvisation? Is rehearsing a big part of the creative process? Thank you.